My lungs are on fire, my jaw is clenching and aching, my legs are like lead, my heart is pounding, almost out of my chest, and my mind is digging deep to find that last ounce of mental strength to compensate for my body that is on the brink of collapse. My RPMs are barely registering at 25, and I’m fairly certain that I could topple this bike over at any second. My coach is right by my side offering words of encouragement, trying to get that last little bit out of me, and it’s all I can hold onto as tears uncontrollably start to well in my eyes. 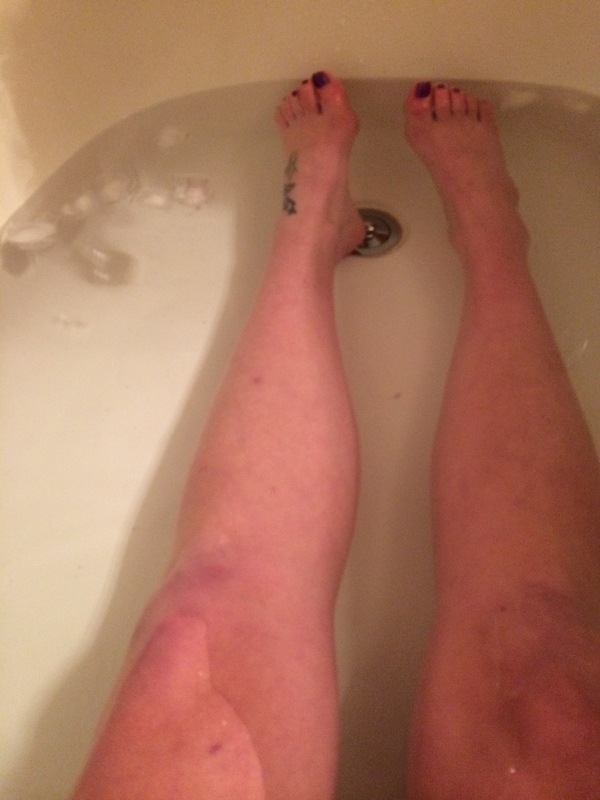 Finally, he declares we’re done, and instantly my body begins sensing relief. 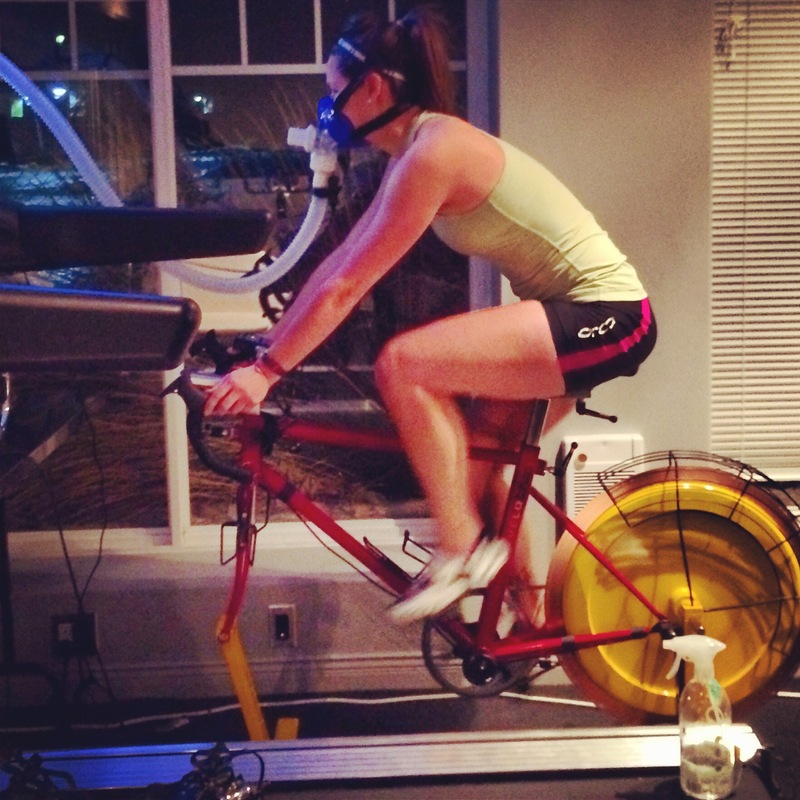 This is the VO2 max bike test, and it nearly killed me. When it comes to the science side of sports, I can’t keep up. You show me formulas, equations, graphs, pie charts, symbols or anything remotely related to numbers, and I will look at you with horror and utter confusion – kind of like a child seeing Santa for the first time. Nonetheless, I find it fascinating, because over the last 10-15 years science has really driven sport in some unimaginable directions. Without it I don’t think we would have some of the powerhouse athletes today. So, while I may not understand it, I am, without a doubt, always willing to be a science experiment while someone else does all the thinking. 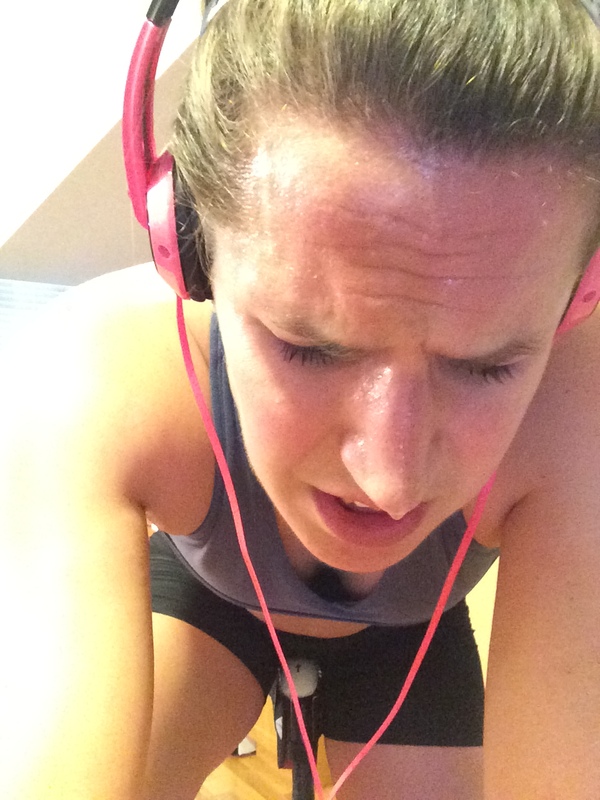 The VO2 test was brutal, but once I didn’t feel like I wasn’t going to crumple on the floor and die a slow delirious death, I felt good. It’s just all apart of the process on the road to one hundred forty point six miles. And, anyways, I need to get used to the pain and the sensation of nearly dying, because at the end of it all what’s an Ironman without a little bit of suffering.